July 30, 2018 (EIRNS)—Slain Ethiopian engineer Simegnew Bekele was laid to rest in a state military funeral yesterday in Addis Ababa with tens of thousands of Ethiopians attending. 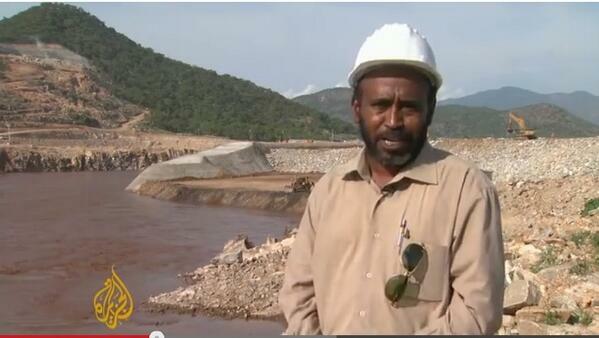 Simegnew, who was found shot to death in his car on July 27, was the chief engineer of the Grand Ethiopian Renaissance Dam project, and considered a national hero. Ethiopian President Mulatu Teshome was among the high officials attending the funeral. Prime Minister Abiy Ahmed addressed diaspora Ethiopians in Washington, D.C. the same day. The ruling party is conducting a mass mobilization in support of the government’s policies, especially the rapprochement with Eritrea. A huge rally was held in Mekelle, the seat of Tigray State, in praise of the Ethiopian-Eritrean peace process. “Stop ethnic-based violence,” and, “We will finish the Renaissance Dam started by Engineer Simegnew Bekele” were some of the slogans shouted by those in the packed stadium. Attendees also urged the federal government to stop ethnic-based conflicts in the country, to oversee strict observation of the Constitution, and ensure strengthening the federal structure. They further demanded that the results of the investigations of both June’s assassination attempt against the Prime Minister Ahmed during a mass rally in Addis Ababa, and of the murder of Chief Engineer Simegnew, be made public. Deputy Prime Minister and Deputy Chief Administrator of Tigray region Dr. Debretsion Gebremichael told the mass gathering, “Unless we opt for peaceful coexistence, disintegration could await us,” and he encouraged the youth of Tigray to join in ensuring peace and stability.